As stocks fall, what should investors do? 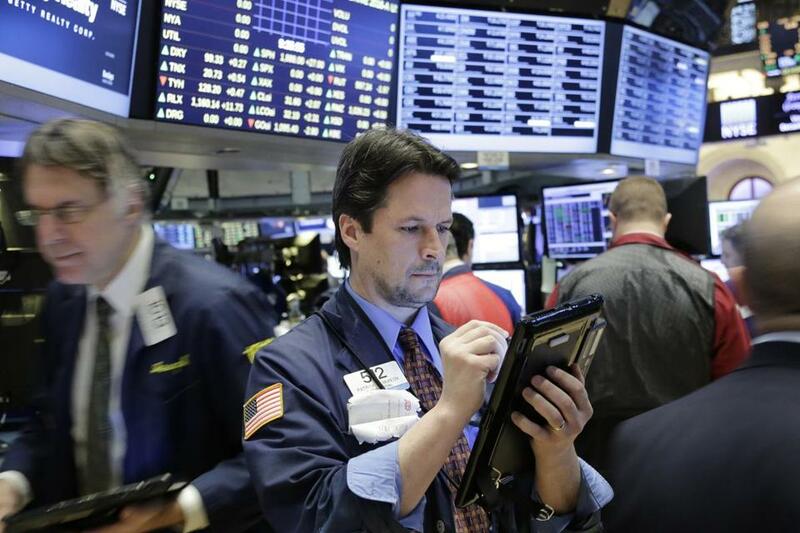 Traders were at work Friday at the New York Stock Exchange. Checking the balance on your investment portfolio might not be the most reassuring move you can make these days. Since November, the major stock indices have been volatile at best, with a steady decline starting in late December. The Dow Jones industrial average dropped as low as 15,766 this week, down 14 percent from its all-time high of 18,351 in May. The Nasdaq Composite and the Standard and Poor’s 500 absorbed similar losses, before all three indexes rebounded Thursday and Friday. So, have we seen the worst of it? Is it time to cash out of the market? What does it all mean for your 401(k)? Of course, you should consult trusted investment advisers before making any big moves with your money. But we talked to some local investment specialists to assess the market and what an investor might do. The markets are complex systems, and it is impossible to know with certainty what factors drive their movements. Many analysts, however, link the recent decline to uncertainty about the Chinese economy, the world’s second largest, and its effects on global economic growth. With the price of oil rising, US stocks closed out their first weekly gain in four weeks. Recent data indicate the Chinese economy is slowing. In addition, many investors have become more skittish because they doubt the reliability of the data, said Dave Smith, chief investment officer at Rockland Trust, a commercial bank in Rockland. “You don’t know how fast the economy was really growing, so you can’t really judge how much it’s slowing,” he said. Plummeting oil prices, viewed as a sign of a weakening global economy, have also been cited as a cause for the market plunge, even as lower prices at the pump put more money in consumers’ pockets. In the long run, these lower prices should be good for the consumer and ultimately the American economy, which depends on consumer spending, Smith said. But for now, many analysts might see the trend in oil prices as a worrisome sign of stagnant demand. How long will the downturn last? The most accurate answer is that nobody really knows, said Jeffrey Pontiff, professor of finance at Boston College. There are hopeful signs, however, Smith said. Despite slowing growth, China’s economy is driven by exports, so a slowdown in its buying power is unlikely to have too much effect on a global scale. And if oil prices stay low, as many predict, they should have a more-positive effect on the economy and a less-negative one on financial markets, Smith said. Right now, many consumers are still gun-shy from the deep recession that lasted from 2007 to 2009, more likely to save the money they aren’t spending on gas, he said. But they should be more willing to spend once they are convinced the extra cash is here to stay, boosting the economy and profits of many companies. Have we entered a bear market? No. The threshold for declaring a bear market is a drop of 20 percent, said Debra Brede, president of D.K. Brede Investment Management in Needham. 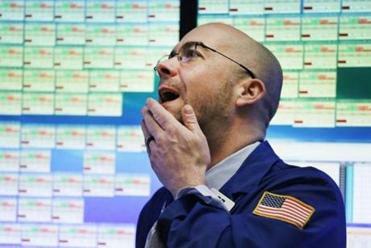 The current fluctuations are better thought of as a correction, a drop of at least 10 percent from the market’s peak. A 14 percent loss within one year is a normal number for such correction, particularly following that strong run of this bull stock market, which hit an all-time high last year. Following the rally at the end of last week, stocks are down about 12 percent from the May peak. “Anything that goes up too quickly, it has to come back [down],” she said. Right now, maybe nothing at all, financial advisers said. As a general practice, Brede said, it is wise to limit stock investments to money you don’t expect to need within the next five years. That time frame should be long enough for the market to recover from most declines, so you won’t be forced to cash out investments at a loss, she said. If you want to make a move, it could be a good time to buy or to rebalance your portfolio, financial planners said. A down market can present opportunities for investment, even if your gut reaction is to sell. But look at mutual funds instead of individual companies, financial planners said, because predicting the course of any one stock is all but impossible for the average investor.